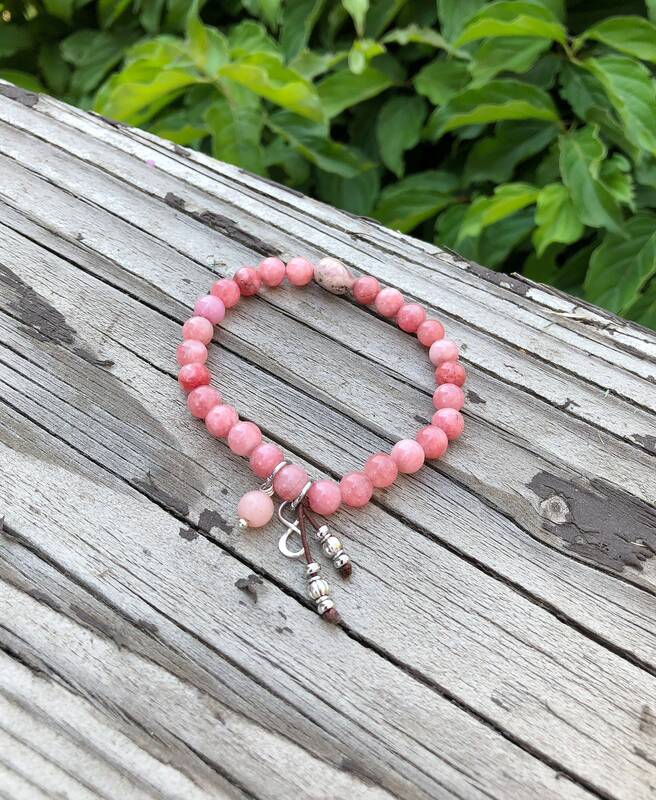 The True Self Love Mala Bracelet features gorgeous pink Rhodochrosite and Rhodonite gemstones along with a .925 sterling silver infinity charm and a drop of Pink Agate to gently remind you to love yourself first and to always stay true to YOU. Rhodochrosite gives you the feeling of being soaked in warm, silky love while bringing inner truths to light. Rhodochrosite represents selfless love and compassion. This gorgeous gemstone instills a dynamic positive attitude. It is excellent for the heart and relationships, especially for those who feel unloved. It helps one heal from sexual abuse and teaches the heart to assimilate painful feelings without shutting down. It urges you to confront repressed feelings and old fears while bathing you in warm love. Rhodochrosite improves self worth and soothes emotional stress. It is mentally enlightning and often enhances creativity. Rhodonite is a gorgeous rare gemstone that is highly recognized as an emotional healer. It quickly centers you during stressful times. It is a crucial “first aid stone” for calming emotional shock and panic. It soothes old heartache, reduces self-destructive tendencies and phobias, helps release resentments and anger and encourages forgiveness. Rhodonite breathes out pure love with a powerful vibration that can heal deep wounds and can possibly repair troubled relationships. It is also said to reconcile lost love. 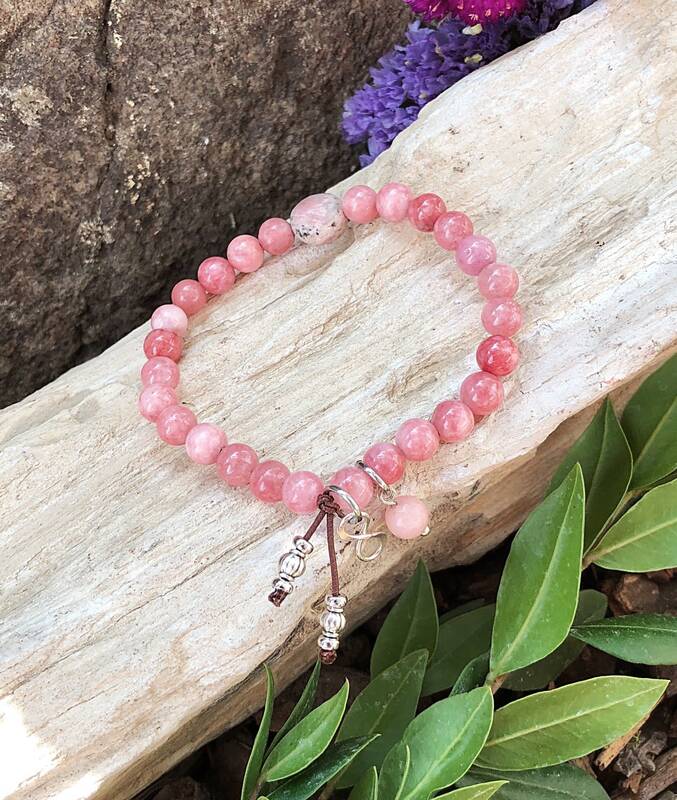 Pink Agate brings love, peace, tranquility, acceptance, balance and harmony. It is an excellent stone for rebalancing and harmonizing the body, mind and spirit. It cleanses and stabilizes the aura, soothes and calms anger or tension and creates a sense of security and safety. 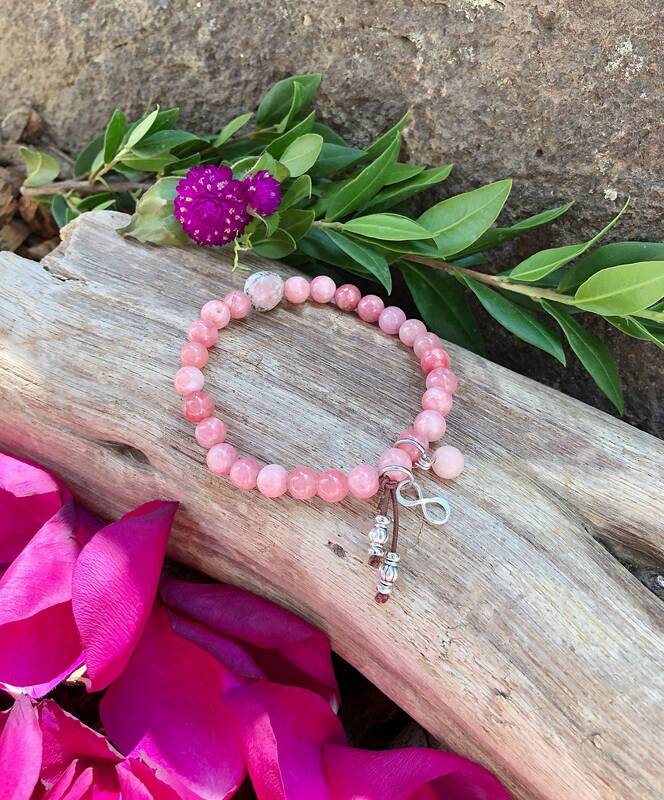 The Infinity Symbol on this bracelet represents the infinite love available to you, and the deliciousness of you giving that love to yourself. 6mm natural gemstones, strung on strong elastic stretch cord. One size fits most wrists. Custom sizing is available. Crystal healing has been used for thousands of years, dating back to the Ancient Sumerians. Each variety of crystal has a unique internal structure which causes it to resonate at a certain frequency. It is this vibrational resonance that gives gems their healing abilities. Crystals and gemstones actually breath in and breath out energy. Each one interacts with the human biofield differently, and can magically move, absorb, focus, direct and diffuse energy within the body. This awakens cells that are vibrating on a lower frequency and brings them back into balance. The result is a shift in the body’s energy system enabling well-being to flow, and a powerful new point of attraction that can help us manifest our deepest desires. Reiki is the ancient Japanese practice of balancing energy. When Reiki energy is infused into crystals, it magnifies the healing power. It actually 'charges' objects with protective, positive energy and increases the effectiveness of a crystal's natural healing vibration. 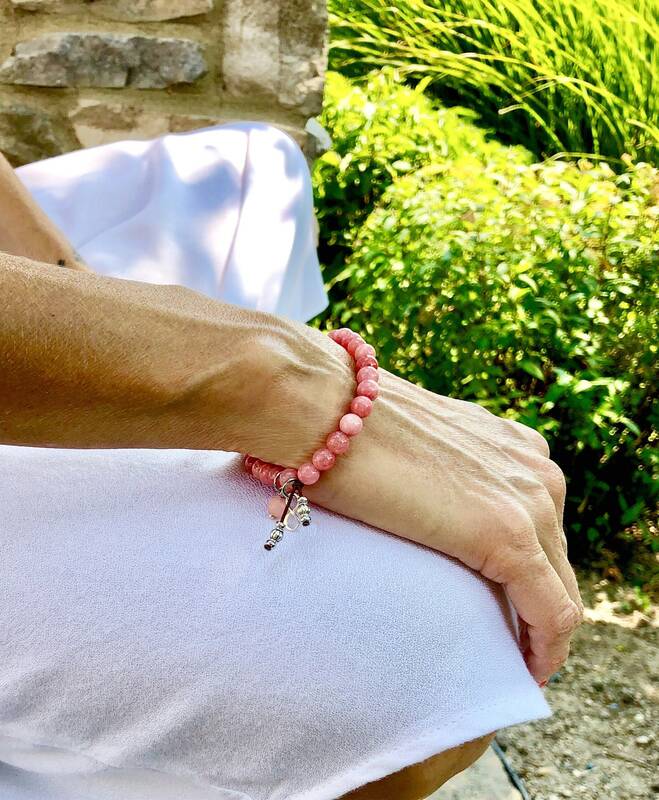 Reiki infused jewelry can then be given as a gift to someone who needs a bit of a boost, or to yourself when you need an extra dose of healing.